From food waste to trash and power usage, the food service industry can be a wasteful business. And as companies in other industries work to reduce their environmental footprint, can food service follow suit? Organic gardens, solar power and locally sourced food options all represent examples of positive change that restaurants can make. However, they can be situational. After all, not every business has access to a year-round plot they can use. With that in mind, today we’re offering ideas for eco-friendly improvements every food service business can make to reduce their environmental impact without significant expense. 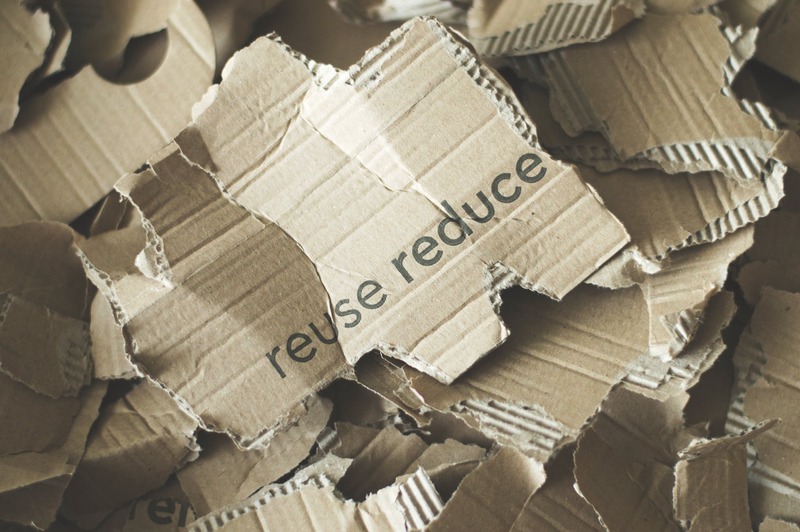 Effective recycling practices are about more than just what goes out of your business. It’s also about what you bring in. From your menus to advertising flyers and even printer paper, utilizing recycled paper options reduces not only deforestation related to the creation of new paper, but the chemicals and water necessary to create this paper as well. In addition, you can further reduce your paper usage by expanding your paperless payment options. Research shows that more than 9.6 million trees are harvested every year solely to make receipts. Reducing or eliminating your receipt use can contribute to reducing this number. Statistically, Americans use more than 100 billion plastic bags per year. Few are recycled, and the environmental impact of these bags is more than their landfill impact. The same research shows that these 100 billion plastic bags require 12 million barrels of oil to manufacture. If your business has an active retail, carry-out or delivery component, your plastic bag use may be quite high. To reduce this, replace your plastic bags with dependable tote bag options. In many cases these bags can be purchased for $1 or less, and if you monogram them with your name and logo, they can become free advertising for your business. The plastic bags used to transport to-go or delivery orders are only part of the problem. In many cases the containers themselves are equally concerning. While most restaurants have eliminated the use of Styrofoam materials, plastic to-go containers are not much better for the environment. Removing food material from these containers is too difficult and, as such, the containers are not recycled and are thrown in the trash instead. Whether your business uses Styrofoam or plastic containers, you’re better off replacing your existing solution with containers made from bio-degradable materials or even recycled paper. When it comes to reducing your business’ environmental footprint, every little bit helps, even down to the last straw. More than 500 million straws are used in the United States every single day, and many will be thrown away without ever being opened. Training your servers to ask guests if they would like a straw — and explaining your environmental consciousness — can reduce your straw use and help your reputation. You can also consider changing to biodegradable or paper straws to reduce your footprint. It’s a decision that will literally cost you pennies a day, but the positives will amount to so much more. Successfully reducing your business' waste is a similar strategy to improving your company's profitability. There is no one-step, fix-all solution. Instead, it's the small adjustments you make every day that will generate larger positive returns and keep your business moving forward in this new, more eco-friendly marketplace.